Kajari Teej or Badi Teej is a special festival. It is celebrated throughout the Northern and the Western parts of India. The celebrations are conducted with much fanfare throughout the states of Bihar, Madhya Pradesh, Uttar Pradesh, Gujarat and Rajasthan. Kajari Teej is celebrated during the Shravana month. Kajari Teej is celebrated by people to welcome monsoons after a harsh summer. 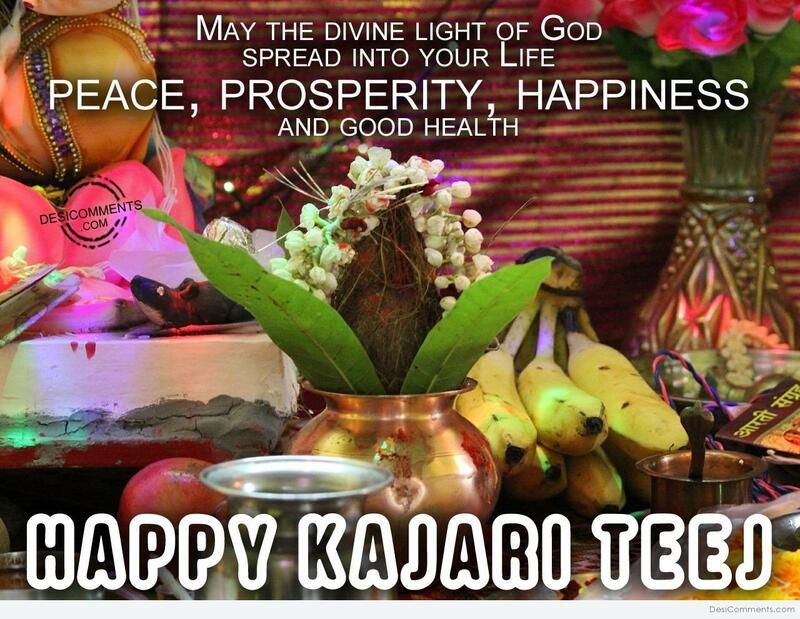 Kajari Teej is one of the three Teej festivals celebrated throughout the year. Like Akha and Hariyali Teej, devotees make special preparations for Kajari Teej. It is considered auspicious to worship Goddess Parvati on this day. 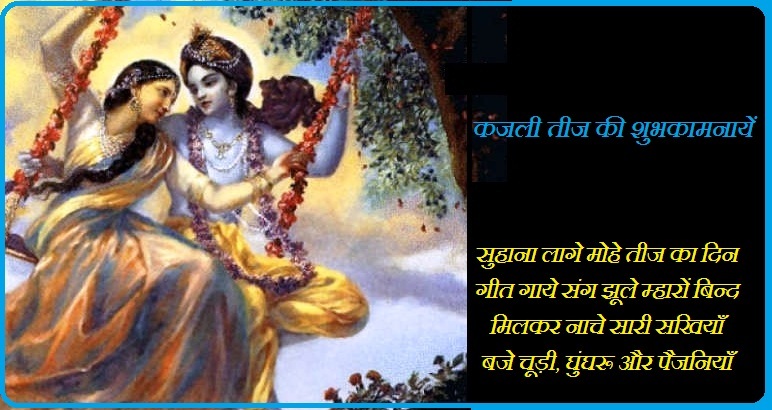 Women who worship Goddess Parvati on Kajari Teej are blessed with having a dignified relation with their husband. Legend has it that Goddess Parvati was able to marry Lord Shiva after taking 108 births. The day is also celebrated as a mark of respect for the selfless love that Goddess Parvati showed for Lord Shiva. It was this selfless devotion that led Lord Shiva to finally accept Goddess Parvati as his wife. Women pray for long life of their husbands on Kajari Teej and observe a fast on this day. On Kajari Teej or Badi Teej, swings are hung from trees for women. Since, this is a special day for women, they spend their day swinging, singing songs, dancing, and getting involved in a lot more relishable activities. Women observe Kajari Teej Vrat on Kajli Teej. Married women keep Teej Vrat for the longevity of their husbands, while unmarried ladies observe the fast to get their desired spouses. Since, Kajli songs are an essential part of Kajari Teej celebrations, rural men celebrate Kajari Teej in a musical pattern. In rural areas, boatmen sing Kajali songs and enlighten the environment with their emotional voices. It is also popular as Teeja in such areas. A variety of food delicacies are prepared on the day of Kajari Teej. All in all, the day is a display of festive carnival.